Last night on ShowTime Championship boxing we had a double header. 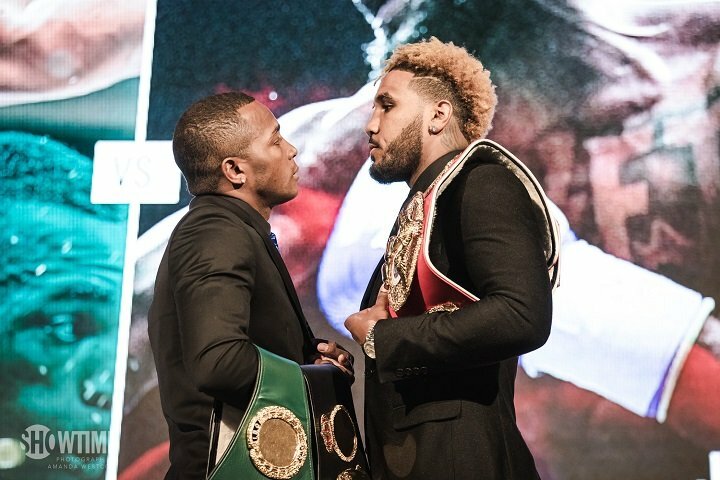 In the first bout of the evening, Jermell Charol () defeated former world champ Austin Trout by majority decision to retain his WBC Junior Middleweight title. Not much of anything happened in the opening round, but in the second, Austin Trout out worked Charlo and won the round by default. In the 3rd round, Charlo knocked down Trout, but it seemed to m\be more of a slip. A punch did land at the same time so its scored a knockdown. Later in the third however, Charlo landed a huge right that seemed to bother Trout. In the 6th, Trout nailed Charlo with 2 very good lefts that seemed to slightly wobble Charlo, but he failed to capitalize on them, as Charlo didn’t really seem hurt. Charlie would score another flash knockdown in the 9th round, which looked to be a punch behind the head. Trout got up quickly and showed that the punch didn’t hurt him, just threw him off balance. Charlo would take over completely in the 10th, as he landed a few huge right hands that bothered Trout. The 11th and 12th weren’t that eventful, but Charlo looked like the fresher man in both rounds. Judge Eddie Hernandez scored the fight 115-111 for Charlo, Tom Carusone scored it 118-108 for Charlo, and Fernando Villarreal somehow scored it 113-113. He must have been watching a different fight. Charlie wins by majority decision, and remains an undefeated champion. 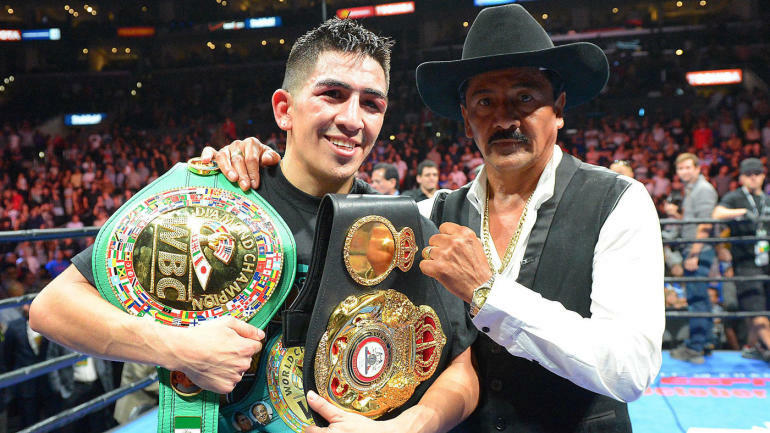 The main event was very eventful on the other hand, as Leo Santa Cruz () defeated Abner Mares by unanimous decision. In the first 2 rounds, Mares looked good, as he found a home for his right hand early. In the third however, Santa Cruz would negate that right hand with his uppercut, which he landed a few times. Rounds 4-6, Santa Cruz started boxing smart, as he controlled the range with his jab. Mares was throwing less as a result. In the 7th round, Santa Cruz started picking Mares apart with 1-2 combinations. At the end of the round, there was a huge exchange of punches, as Santa Cruz landed a huge left hook on Mares. The fight took a turn in the 8th, as a clash of heads caused a big cut above the left eye of Leo Santa Cruz. As a result, Leo became a bit cautious and Mares started walking him down. Santa Cruz’ corner did a good job on the cut, and it would bother him no longer. The 12th round was an absolute brawl, but Leo Santa Cruz got the better of it. Santa Cruz ends up landing 357 of 1061 punches, and Mares finishes at 208 of 931. A mirror image of their first fight. Recant Denseco scored it 115-113 (Santa Cruz), Steve Weisfelds scored it 116-112 (Santa Cruz), and Zachary Young scored it 117-111 (Santa Cruz). Leo Santa Cruz wins by unanimous decision, and becomes the WBAundisputed World Featherweight champion.